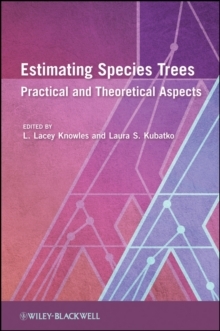 Recent computational and modeling advances have produced methods for estimating species trees directly, avoiding the problems and limitations of the traditional phylogenetic paradigm where an estimated gene tree is equated with the history of species divergence. The overarching goal of the volume is to increase the visibility and use of these new methods by the entire phylogenetic community by specifically addressing several challenges: (i) firm understanding of the theoretical underpinnings of the methodology, (ii) empirical examples demonstrating the utility of the methodology as well as its limitations, and (iii) attention to technical aspects involved in the actual software implementation of the methodology. As such, this volume will not only be poised to become the quintessential guide to training the next generation of researchers, but it will also be instrumental in ushering in a new phylogenetic paradigm for the 21 st century.